Lyon, France, September 14, 2016 – Novasep, a leading supplier of services and technologies for the life sciences industry, today announces its partnership with Triclinic Labs, Inc., a US-based provider of contract pharmaceutical and fine chemical solid-state development services. This is Novasep’s first partnership agreement focusing on early-stage, solid-state services. 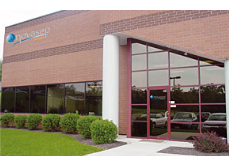 Those services will be in addition to Novasep’s existing, early-stage, active pharmaceutical ingredient (API) synthesis and purification services and made available to customers in North America as well as other regions. The newly formed alliance between Novasep and Triclinic Labs will enable both parties to offer their customers a full API development service, ranging from first chemical synthesis to solid form optimization. Novasep’s services will be extended to include solid form screening, selection, development, characterization and analytical method development. While the efficiency of a drug is based on its intrinsic nature and its interactions with biological targets, the preparation process has a strong impact on these properties. Finding the most appropriate solid phase can optimize these features. The best solid phase – be it a crystalline polymorph, salt, cocrystal or amorphous form – can maximize physicochemical properties and therefore improve drug efficiency. “This new partnership with Triclinic Labs is a further step in our ‘Back to Basics’ strategic plan. It enables us to expand our offering to our clients by adding services onto the last stage of product development,” said Dr. Michel Spagnol, CEO of Novasep. “The alliance with Triclinic Labs emphasizes our continued commitment towards the North American market, following the recent opening of our US-based synthesis laboratory and kilo lab in Boothwyn, PA,” said Andrew Brennan, general manager at Novasep’s US operations. Triclinic Labs is a global leader in solid-state chemistry and materials analysis services for drug development, regulatory compliance, and patent prosecution and litigation. For more than two decades our scientists have helped our worldwide pharmaceutical partners with nearly one thousand INDs, NDAs and legal matters. We specialize in discovering, developing, controlling, analyzing and protecting solid forms of APIs alone and in drug products.